Fully Licensed is a scholarly, entertaining and practical book, the most comprehensive guide on liquor ever published in South Africa, telling you all you ever wanted to know about drinks and drinking. This compendium of information is an essential companion for anyone involved in the liquor industry. Liquor licenses, students in the hospitality industry, bar managers, restaurateurs, liquor store owner, franchisees and home-bar owners will find Fully Licensed an indispensable handbook. Fully Licensed contains practical guidelines for setting up and managing a bar. It untangles the web of legislation pertinent in the liqueur industry in South Africa and provides the contact addresses of liquor producers and importers. A section is devoted to recipes of the classic and award-winning cocktails and mixed drinks of the world. Descriptions of all popular registered brand names of liquor in South Africa are easily accessible in a handy alphabetical section. Fully Licensed is much more than a management manual. It traces the history of the development of public drinking houses, and the production of wines, spirits, liqueurs, mixed drinks and coffee. 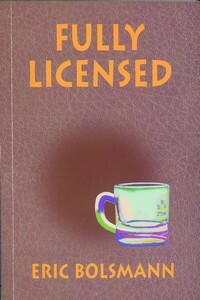 Fully Licensed is a delight not only as an instant reference but to the dipper and sipper with a glass at his elbow. It is an absolute mine of information to all you ever wanted to know about the history, legends, customs and production methods of alcoholica. Fully Licensed was published by Be My Guest Publishers in Pretoria as an illustrated 395-page soft-cover edition in 1999. The book is available at R190,00 inclusive Vat and postage in South Africa.